Every year more than 5 million tourists from all over Europe are drawn to Tenerife to spend their vacations here. Many of them even stay for the whole winter. These persons include famous stars like the Colombian singer Shakira and football star Gerard Piqué. It’s not only holiday-makers however who are hungry for sunshine and are magically attracted to the major island of the Archipelago. 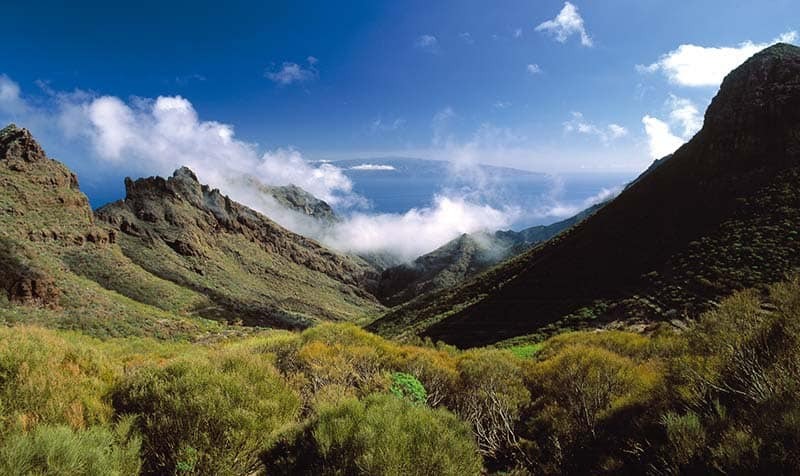 The film and television industry also appreciates the diverse scenery that Tenerife has to offer. Since the sixties, many music videos, blockbusters and commercial spots have been shot here. What does the magic of Tenerife consist of? Is it the breathtaking view from the top of the Teide? Is it the amazing food? The all year-round pleasant climate? The beautiful beaches and landscapes? The unique local Fiestas? The charm of the people who would do everything for you without expecting anything in return? Or something completely different? The following text consists of feedback from us to you. The whole team at FU International Academy – from Spanish teachers to managers, directors and interns – took the time to point out their personal highlights on Tenerife. We share many different interests and tips with you ranging from culture to party, from nature to action. But the one thing we all agree on is: We love Tenerife! Do you want to come to a place that has a huge variety of international cuisine from many countries like India, Thailand, Japan, Bolivia, Italy, Germany and many more? Yes? Well, then Tenerife is for you! The island has such a huge variety of delicious foods that it will be hard to choose what to eat tonight. But the one thing that makes this island a true “foodies paradise” is, of course, the authentic local food. When the people of Tenerife talk about their food, they say it’s: “para chuparse los dedos”, which means it’s finger-licking good. How right they are! 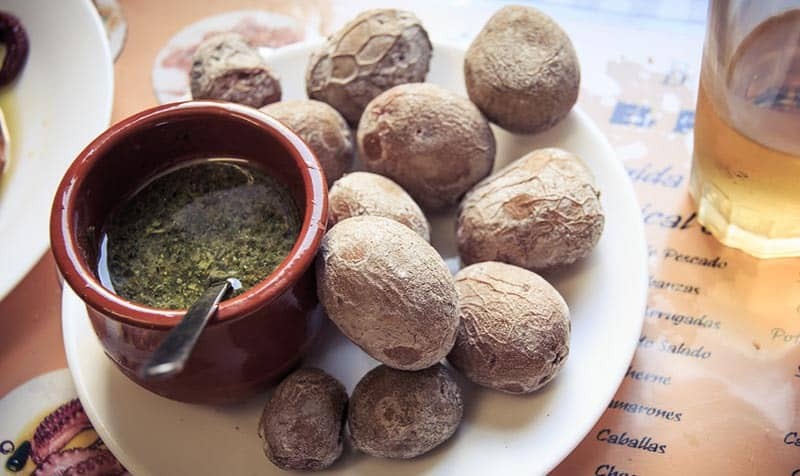 Probably the most famous dish of Tenerife is “Papas arrugadas” which means “wrinkled potatoes”. Don’t let the name fool you, these soft potatoes are simply delicious and can be eaten with their salty skin. But it wouldn’t be real “Papas arrugadas” without the two famous sauces they are served with: Mojo verde and Mojo rojo. This simply means “Green Sauce” and “Red Sauce”. As you can see, the Canarian cuisine likes to keep the names as simple as the dishes themselves – which means that all the effort is put into the flavour. Mojo Verde is a tasty blend of garlic, vinegar, cumin, cilantro, olive oil and parsley. While Mojo Rojo is a delicious mix of a typical canarian spicy pepper, garlic, vinegar, cumin, smoked paprika and olive oil. These sauces are typical for the canarian cuisine and you will find them with many dishes and tapas. Do you like it cheesy? 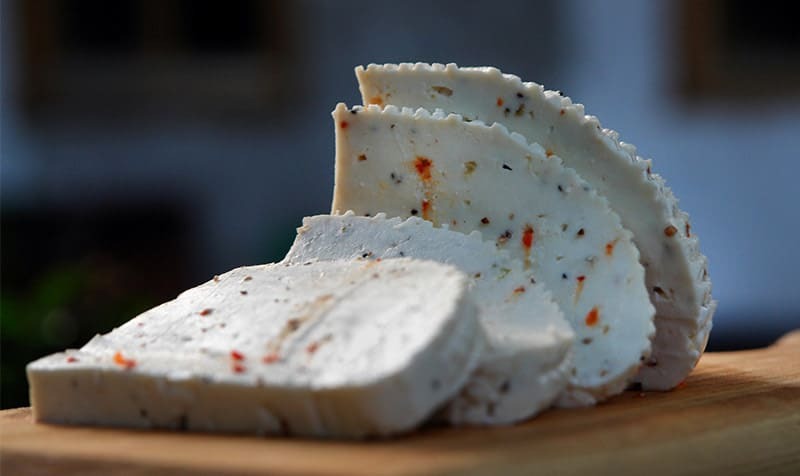 Canarian goat cheese is one of the best kept insider tip for foodies and has won many international competitions, but as the production is small, it is little known outside the islands. Make sure to try some Queso asado (fried Cheese) which is usually served with Mojo Verde. There’s also a variety of delicious local cheese made of sheep milk (queso de oveja) and don’t miss out on queso ahumado (smoked cheese). Feeling hungry yet? Let’s move on from the tapas to the main course. 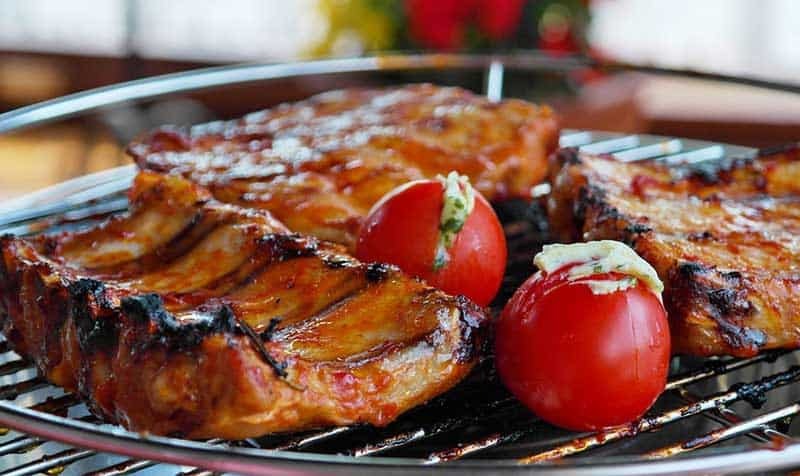 How about Ribs that are so soft that the meat falls off the bone? Sounds good? Then order some Costillas! Unlike the American version, this Canarian dish isn’t that fatty and drowned in barbeque sauce but cooked and served with potatoes and corn. That means it has less fat but not less flavour! And of course – you guessed right – it is served with the local favourite: Mojo Verde. Fancy something else? Order a savory plate of escaldón, a local pork or beef stew or “ropa vieja” which is shredded beef in a spicy tomato based sauce. Since the Caranies are Spanish territory, we can’t talk about local food without talking about seafood! And where could seafood taste better than freshly caught on an island surrounded by the ocean? Some of the local favourites are Choco (cuttlefish) with potatoes and mojo verde or Chipirones (small squids) which is so delicious when seasoned with just salt and lemon juice. And last but not least, pulpo frito (fried octopus) is delicious here and don’t be scared of the tentacles. Where to find good local food? Now that you know what to eat, you need to know where to go, right? The most important foodie rule is: If you want to find good local food, eat where the locals eat. Don’t just choose a place because it looks fancy – and is probably overpriced. This rule applies anywhere in the world but is especially true in Tenerife. Any local and foodie that knows the Canaries will tell you that the best food is found in the Guachinches. Guachinches have a long history in the Canaries and used to be places where local wine was sold and people were offered a few simple meals. This tradition has not changed much and if you are looking for truly local food in a rustic authentic environment, just ask a local about his favourite Guachinche. Here are a few other recommendations by local foodies: “El Chef Padilla” and “El Chibusque” in Güímar where you can enjoy a tapas of fish or calamari salad with a cold beer while watching people enjoy the sea, the beach, and the wonderful clear blue sky. 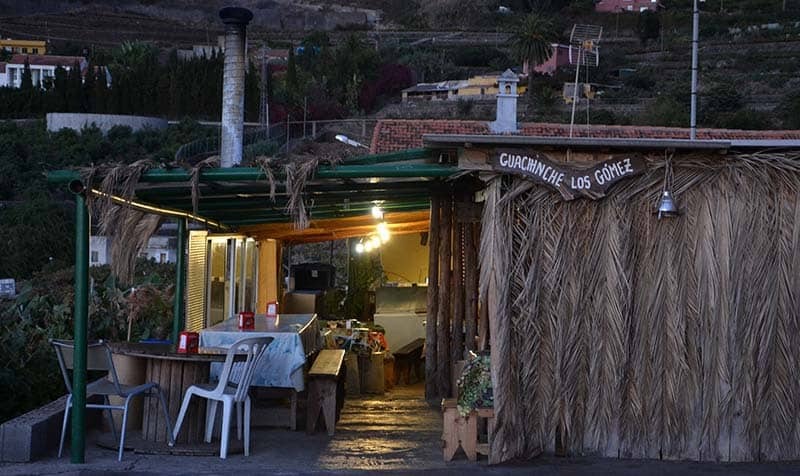 “Tasca Viana” in La Laguna is known among locals for its simple but delicious food, or if you want the best seafood, go to “Cofradía de Pescadores right next to the Las Teresitas Beach in Santa Cruz and try the “Chipirones”. After all that eating, you deserve a break. How about a nice cocktail in a relaxed atmosphere while enjoying the sunset? 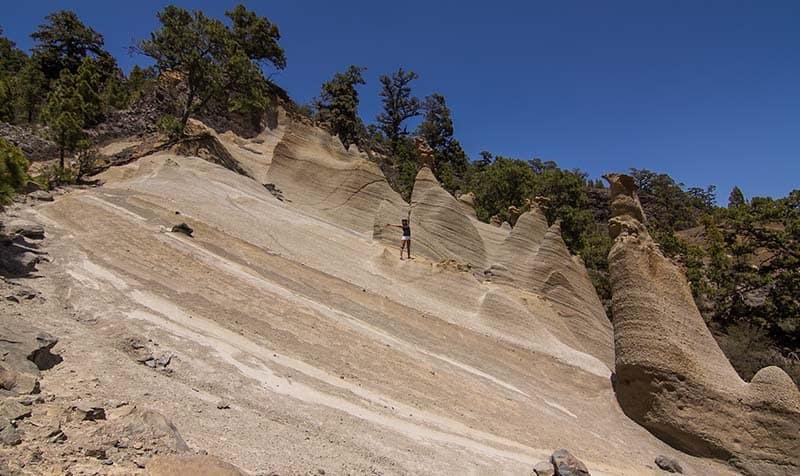 Check out the locals favourite places and go to Las Terrazas del Sauzal (El Sauzal), Sunset 290 (La Orotava) or Bar Alberto’s (Puerto de la Cruz). Tenerife is energy. It is contrast – it is beach as well as mountains. It is sun and rain, it is sports, peace, great people, culture and tradition, history and light – sunlight as well as the light of the moon and the stars. Even on the rare darker days, it is still bright. And one feels as if this shining light is transferred onto people. The sense of freedom that is conveyed through the vastness and the blue color of the Atlantic further adds to this sensation. The island seems to be made to a human scale: there are no great distances, but sufficient to introduce a certain amount of human and environmental diversity. This feature allows us to enjoy a quality of life in terms of the purity of its air and clarity of the skies, which are like a gateway to distant universes. The sunsets here are unbelievable and show the power of the light which we can only enjoy in this degree of latitude. Red, yellow, pink, orange and all of their shades decorate the dawn and welcome the blue sky which serves us an eternal ceiling full of stars. It is a unique moment which completely thrills you and which will remain with you for a lifetime. Of course, the first thing that comes to people’s minds when they think of Tenerife’s landscape is the Teide. This volcano reaches an impressive 3,718 meters and is Spain’s tallest mountain as well as the earth’s third-tallest volcanic structure and attracts hundreds of thousands of tourists every year. 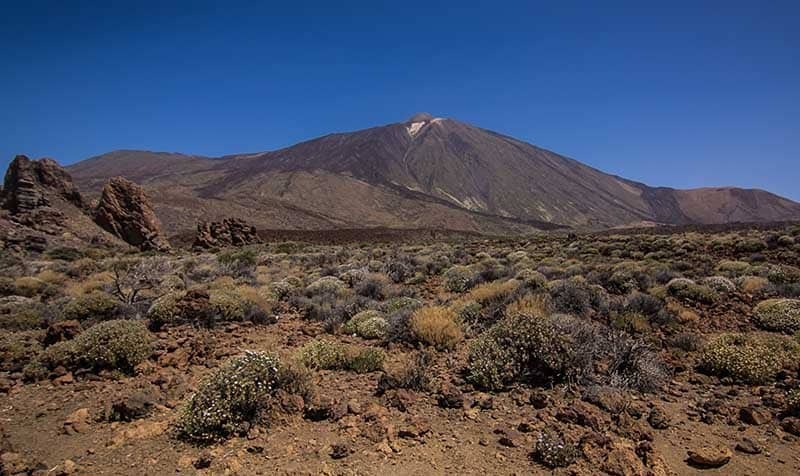 But don’t worry, even though the Pico del Teide is an active volcano, the last eruption was a long time ago in 1909. It is surrounded by 18,900 hectares of beautiful national park that have been declared to be a UNESCO World Heritage Site in 2007. The Teide offers you a fantastic view on the other Canarian Islands. You can spend a night in the Refugio Altavista and, if you get up early in the morning, you can climb to the top and watch the most spectacular sunrise of your life – watching the Teide’s massive shadow which is the largest shadow in the world projected onto the ocean. If you are lucky and are in Tenerife during a lunar eclipse, take blankets and food with you, sit down on the warm rocks and enjoy the breathtaking view of millions of twinkling stars! 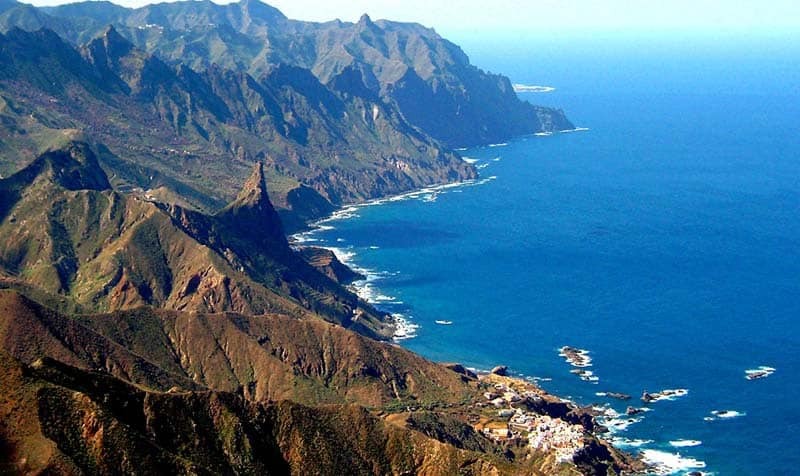 But of course, Tenerife has much more to offer than the Teide. There’s a good reason why the island is famous all over the world for it’s amazing hikes. In fact, there are too many hikes to even mention all of them! You can find 12 unmissable hikes on our blog. Check out one of the favourite spots of the locals by taking a walk in the beautiful “Corona” hillside in Los Realejos where you will see paragliders from all over the world. They come here because it is the only place in Europe where it’s possible to fly all year round. Take a break at the “Mirador de la Corona” with it’s stunning view of the Orotava valley and watch them dance in the sky. Or take a walk through the beautiful small town El Sauzal and visit the “Parque Los Lavaderos” with its picturesque small cafés. At the Mirador de La Garañona, you cannot only enjoy delicious ice cream but also the incredible view of the coastal cliffs. Take a break from hiking and do a little shopping and sightseeing in one of Tenerife’s beautiful old towns like La Orotava or La Laguna! A stroll through the colourful streets and stunning courtyards is a pleasure for all the senses, how about stopping for a “Cortado Leche y Leche” at CaféTeatro7? Explore the Güímar area in the south-east of the island. In the upper part of the village, you will find the typical Canarian houses with their big terraces and beautiful wooden balconies. This area is not yet reached by mass tourism and still has the quiet and peaceful charm of an authentic island village. If you like it more lively, then go to El Puertito de Güímar were you’ll find a fishing port, a seawater swimming pool, beaches with the typical black sand and plenty of bars and restaurants. Or satisfy your sweet tooth with a trip to the beautiful small town Buenavista del Norte where you’ll find the locals favourite pastry shop “El Aderno”. In the mood for romance? Take your sweet and your sweets and enjoy Tenerife’s most romantic sunset at the beach. We all loves beaches and there are some stunning ones all over the world. 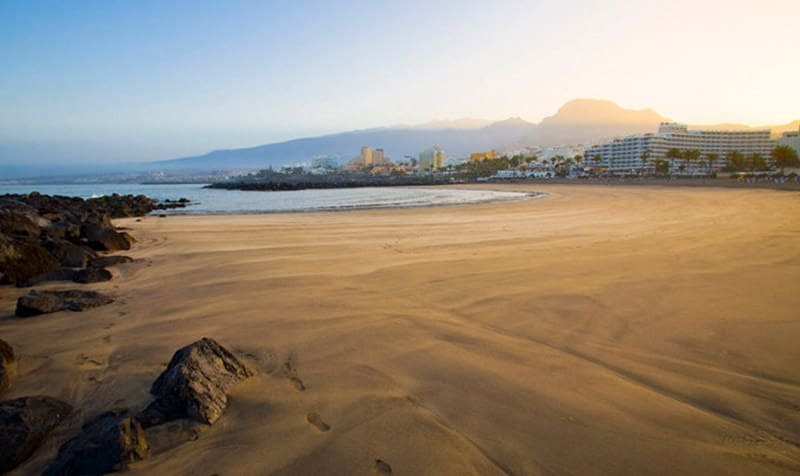 But as a true beach lover, you simply must come and see the beaches of Tenerife. The color combination of clear blue ocean, black sand and lush green plants is unique and will give you an exotic feeling all year round. How about a picnic with local goodies, some nice wine and a stunning sunset? Don’t miss the opportunity to observe this breathtaking spectacle at the beaches Jardín, Martianez or Bollullo in the North and El Médano, La Tejita, Las Vistas, Fañabe, El Duque or La Caleta in the South. If you love surfing or always wanted to learn, Tenerife is a must on your bucket list. It’s perfect for active people who want to do more than just sun tanning. Check out the amazing waves at El Soccorro, Los Patos, Santana, el Ancón, Bollullo or Playa la Fajana. The locals favourite is Socorro Beach, were Julián the lifeguard teaches you how to become great surfer and respect the environment. If you ask nicely, you can leave your keys and valuables at Señora Carmen’s kiosk while you go surfing and she will keep them safe for you. Don’t forget to try one of her great hot dogs. If you prefer to be under water, you can go diving all year round and discover the beautiful underwater world. There’s always something to celebrate! If you want to experience the local culture, there’s nothing like going to a Fiesta. Whether it is Carnival, traditional festivals such as the Romería or the diversity of concerts – there is always something to celebrate. The year starts with “los tres reyes magos” (Spanish for “The three wise men”) which is the traditional Spanish equivalent of Christmas on January 5th. Imagine Christmas spirit and decorations at over 20 degrees and sunshine. There are camels lined up, Samba dancers in rows, stilt walkers and confetti floating through the air. Don’t miss it! If you are around in February, you simply must go to the carnival. 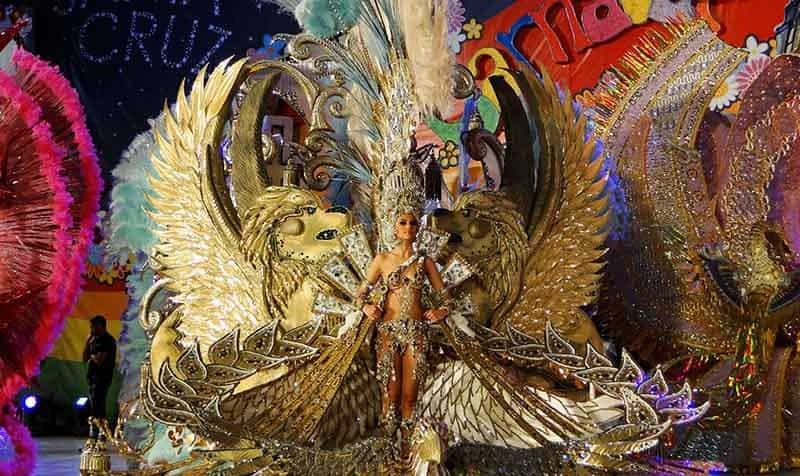 It is considered the best carnival in the world, besides it’s bigger brother in Rio of course. This is a major event for the locals, with parades, parties and shows for days. Don’t be surprised if you see the local men dressing up as girls in high heels, it’s a tradition! Of course there is also a carnival queen and the girls participating start training months before the show because the show dress is so big and heavy. If you like it a little more traditional then go to one of the Romerías. Those are the oldest and most important fiestas in the Canary Islands. Back in the days, these harvest festivals were devoted to a saint and even today you can still see carts filled with food and wine, locals wearing traditional colorful costumes, musicians, dancers and lots of animals. There are Romerias all year round. In our blog post you can find all dates and more details. In summer there are many fiestas. The “Fiestas del Carmen” are well known for their fireworks over the sea and they are an amazing and popular tourist attraction. 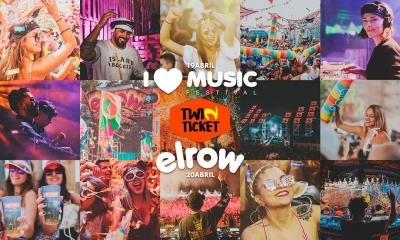 Want to get some classic culture after all those Fiestas? Go to the dramatic auditorium designed by Santiago Calatrava where the Tenerife Symphony Orchestra holds regular concerts, operas, musical and other performances – all at a fraction of the price of other European venues. Packing for Tenerife can be tricky. Don’t get fooled by the beautiful beaches and tropical plants – this island has much more to offer than other summer vacation spots. We don’t just have a mild climate all year round – we have five! The breeze, the warmth and the fabulous five climate zones exist thanks to the trade winds. This tropical wind is found only near the earth’s equator and creates a unique climate which cannot be compared to any other place in the world. It gives Tenerife it’s eternal spring that all the tourists and locals love. Today it might be rainy but tomorrow the sun will rise again, according to a Spanish saying. And even if you get rain, remember it will not last for long and in a day or two the whole place will be green and refreshed and you can enjoy the scenery once again. Now you know a few things about this lovely island that has sun, beaches, mountains, sea, rain and sometimes even snow – and all this on a small island that doesn’t even appear on some maps. Tenerife’s magic can’t be described, it needs to be experienced. So come here and find your own magic. 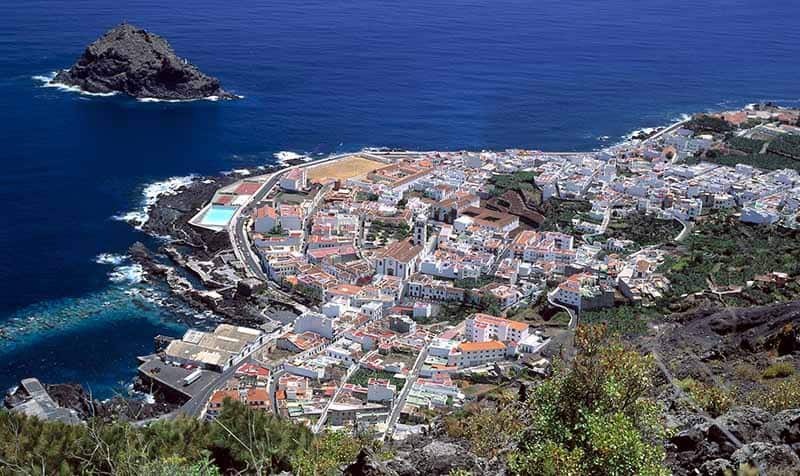 Keep on reading and check out Tenerife’s top 10 places you need to visit while you are here! 356 queries in 3.013 seconds.